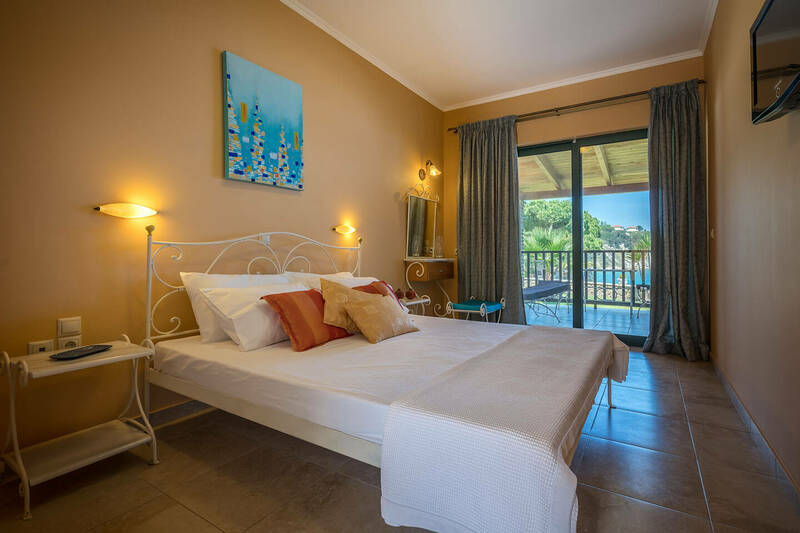 Porto Roma Studios are set in wonderful landscaped surroundings and offer fantastic panoramic views of the countryside and the Ionian Sea. 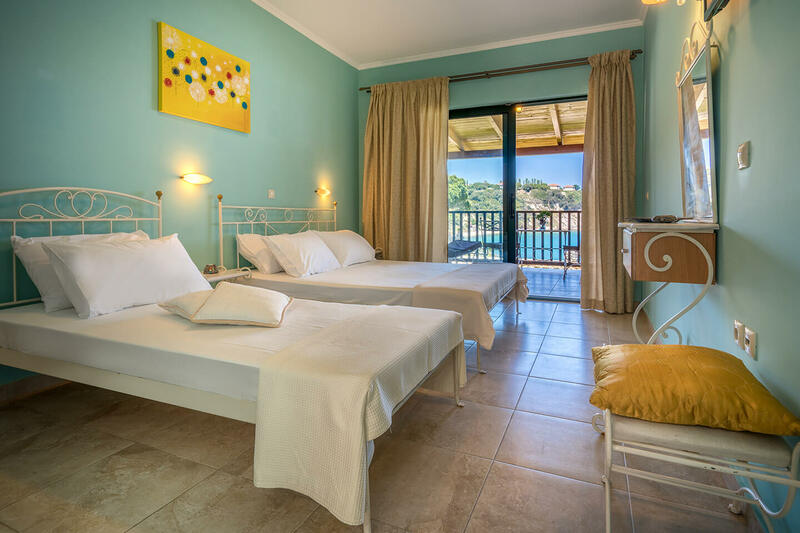 The accommodation consists of a building with eight studios that can accommodate 2-3 persons. There are 2 studios that can accommodate up to 3 persons. Each features a single and a double bed, fridge, kettle, modern bathroom with hairdryer, flat screen TV, air conditioning and furnished balcony offering amazing sea views. There are 6 studios that can accommodate up to 2 people. Each features a double bed or 2 single beds that can be put together to create a double bed, fridge, kettle, modern bathroom with hairdryer, flat screen TV, air conditioning and furnished balcony offering beautiful sea views. The friendly family is always at hand and ready to help with anything you may need to make your stay comfortable and has made sure you have as many facilities as possible.